Laughing can become a yoga exercise. 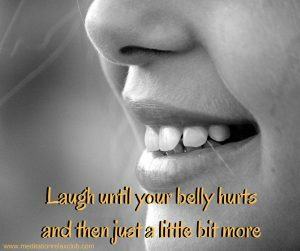 Spread alla round the world the laughter yoga is a new kind of yoga which involves voluntary laughters that can provide benefits both to the mind and the body, as well as spontaneous laughter. This practice is done in groups who start laughing and time after time, this laughter is contagious and it becomes a real one. There are no bases for laughing, no jokes, no funny moments, just an induced laughter which brings to a happy moment shared with other people. Laughter yoga can be done in the morning, open-air, with a series of movements to end the sessions, providing benefits for blood circulation and on the psychological side. Yoga improves the mood, especially in depressed and stressed people, who suffer from anxiety attacks. Laughter has no language, knows no boundaries, and does not discriminate between caste, creed, or colour. Laughter is a powerful emotion and has all the ingredients for uniting the entire world. 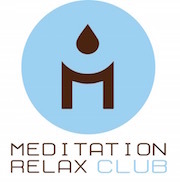 The song you’re about to download is called: “Zen Meditation and Natural White Noise and New Age Deep Massage” by Ayurveda Ledonne; this relaxing music comes from a collection by various artists of 20 best yoga songs which help you during your yoga routine to find balance, spiritual awakening and to focus on the rest of the day. If you want to know more about the album “Best Yoga Music”, click on the name and listen to the preview on iTunes. Let us know what you think about this song and if you have never practiced laughter yoga in your life. Did you experience some health benefits? Ӏ love reading thгough уour internet site. Ԝith thanks!